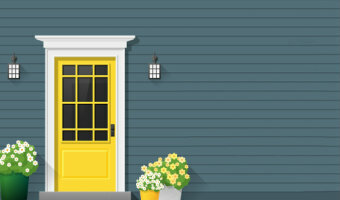 FHLBank Pittsburgh's First Front Door product provides down payments and closing cost assistance to qualified first-time homebuyers with incomes at or below 80 percent of the area median income. FFD funds are granted on a first-come, first-served basis, until funds are exhausted. For every $1 provided by the homebuyer, FFD will provide $3 in grant assistance, up to a maximum of $5,000. Who Qualifies for FFD Funding? Because FFD is offered in conjunction with your first mortgage financing, all you have to do is set up an appointment with one of our mortgage loan originators and inform them that you are interested in the First Front Door program. They will have you complete a mortgage application and will collect all of the applicable documentation so that we may compete the First Front Door application process on your behalf. They will be there to answer any questions you may have about the FFD process. FHL Bank will work with Washington Financial Bank to review your application and eligibility within 10 business days. Upon approval, you have six months to use the grant. After Washington Financial Bank has confirmed your FFD grant reservation is in place, now is the time to complete the required four hours of homeownership counseling. Remember, FFD grant reservations are only valid for six months! Lending personnel will then underwrite your loan to determine if you are approved under Washington Financials' established underwriting guidelines. If approved through Washington Financial FFD funds can be used to help with your down payment or closing costs. For every $1 you contribute, FFD will provide $3 in assistance, up to a maximum of $5,000. Talk to your lender to understand how FFD will work with your home purchase. First Front Door funds are available on a first-come, first-served basis.